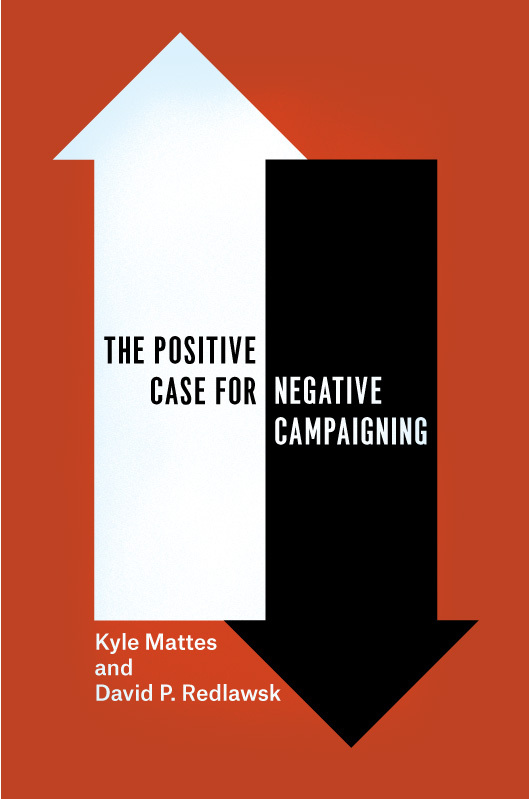 The Positive Case for Negative Campaigning, by Kyle Mattes and David Redlawsk from the University of Chicago Press. The book is available at Amazon, and you can see a preview of Ch 1 at Google Books. A nice positive review of the book has just been put online by Public Opinion Quarterly. Here is an interview I did about the book for the Boston Globe. I also did a talk on the book at Eagleton. You can see it here on YouTube. 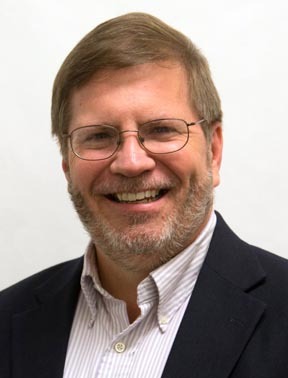 as well as a recent interview with WHYY radio which is much shorter than the book talk! You might also like the radio interview I did with Canadian Broadcasting. Also, check out the podcast Kyle and I did about the book. In Why Iowa? 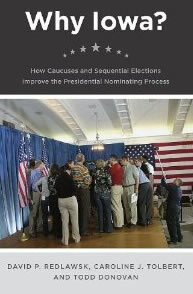 How Caucuses and Sequential Elections Improve the Presidential Nominating Process, my co-authors Caroline Tolbert and Todd Donovan and I explore the place of Iowa in a sequential system. We conclude that despite its problems and limitations, the Iowa Caucuses provide significant benefits in the existing presidential nominating system. The book can be ordered on Amazon and you can see a preview of it on Google Books. It's published by the University of Chicago Press. My co-author Caroline Tolbert and I published a piece in the New York Times online "Room for Debate" late in 2011 about what Iowans wanted from their caucus candidates. The American Governor: Power, Constraint, and Leadership in the States. 2015, Palgrave Macmillan. ELECTION 2016: Re-upping a revised version of a blog post I wrote in Dec 2015 after attending a Trump event in Burlington, IA. My take: It's about Trump as Superman. Why is it hard for voters to make decisions in a primary? AP science writer Malcolm Ritter has a story about this, quoting me, as well as my colleague and co-author Rick Lau. A short piece I published in the New York Times online edition about how motivated reasoning can help explain resistance to facts showing President Obama was born in Hawai'i. Looking for the Lau/Redlawsk Dynamic Process Tracing System? CLICK HERE! Voters’ Partisan Responses to Politicians’ Immoral Behavior (2019, Political Psychology). The Dynamic Process Tracing Environment (DPTE) as a Tool for Studying Political Communication. (2019, Political Communication.